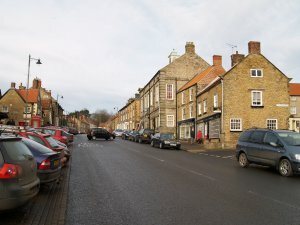 The main high street of Kirkbymoorside, looking north. 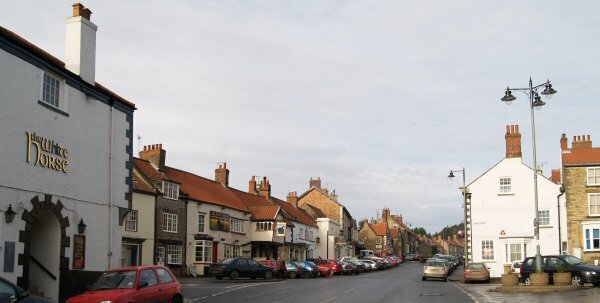 The tower of All Saints Church is visible on the right beyond the market square. 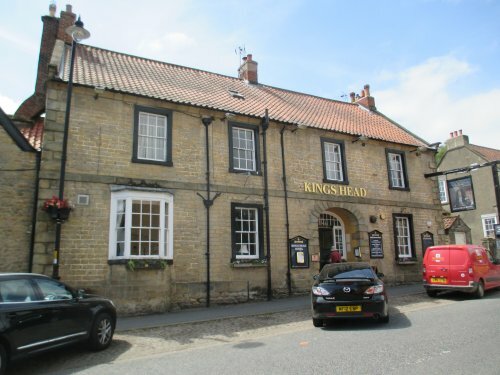 Kirkbymoorside is more a big village than a town, but a most pleasant place to call in at. 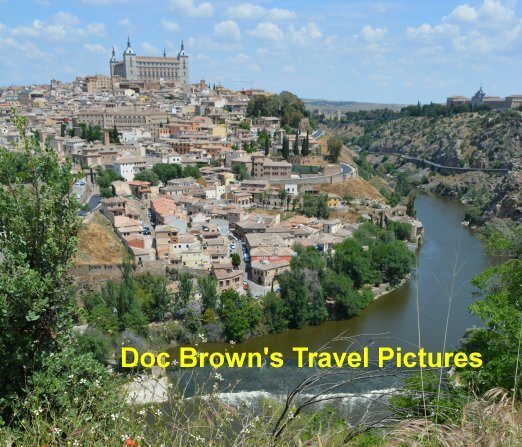 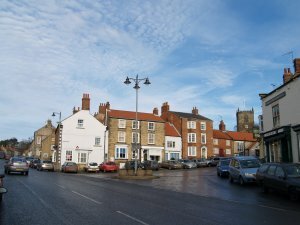 Kirkbymoorside is a lovely friendly small town on the edge of the North Yorkshire Moors with two churches worth visiting to.
? 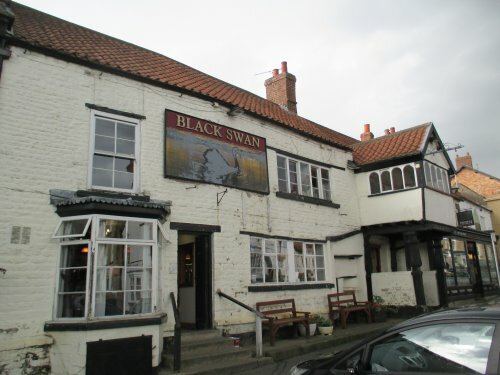 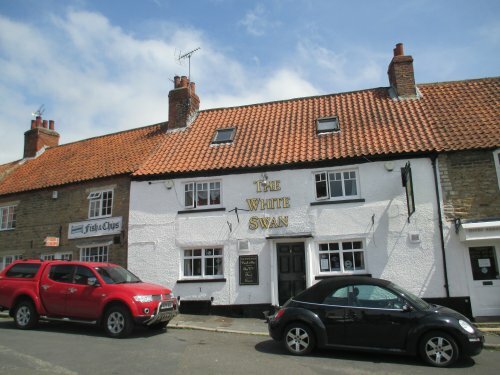 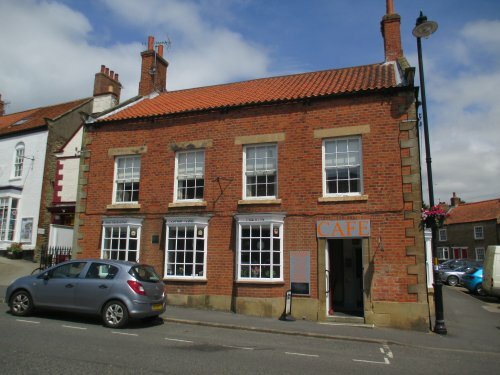 Cafe and Fish and Chips by the White Swan pub in Kirkbymoorside. 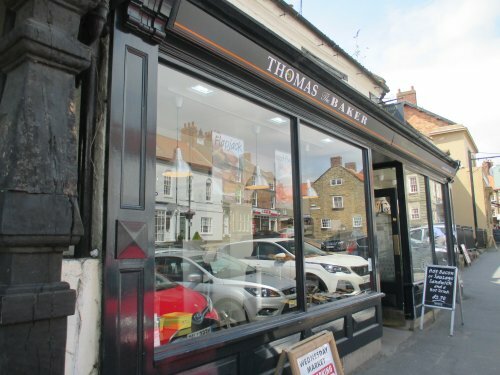 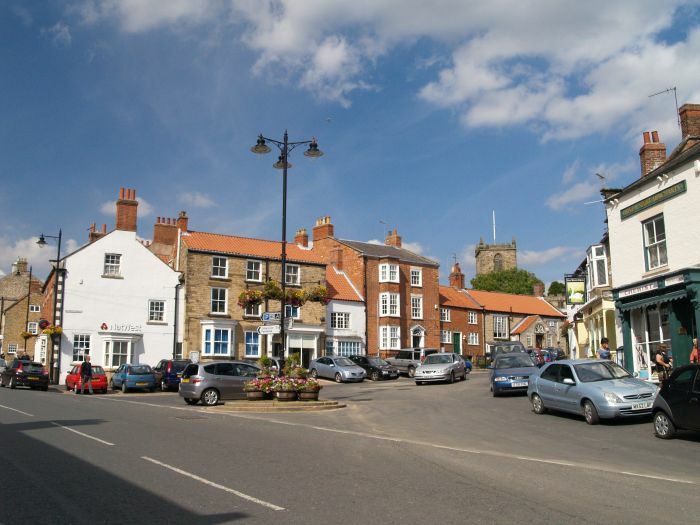 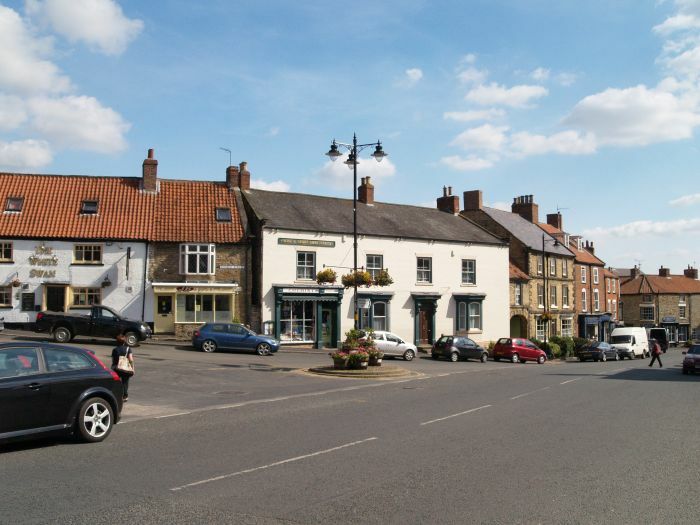 Despite being a small town, Kirkbymoorside has a surprising number of shops, pubs and cafe's and a really friendly place to visit. 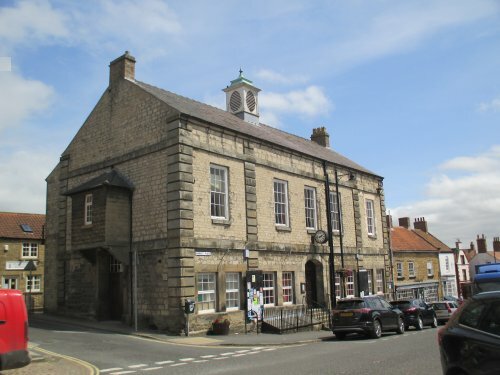 There are many fine buildings at the top end of Kirkbymoorside away from the busy A170 Pickering-Helmsley road. 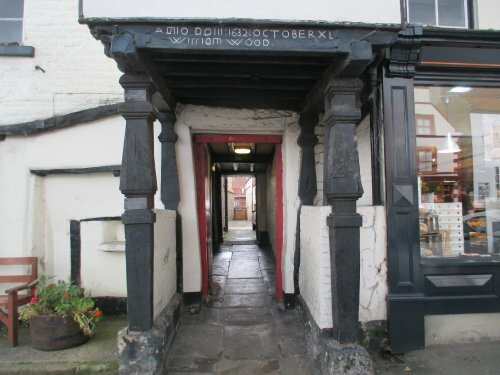 The 'Butter Cross' by All Saints Church in the street called "The Shambles" (as in York, the street of the butchers). 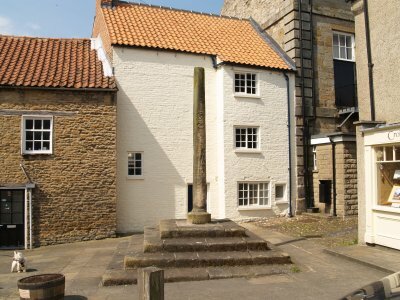 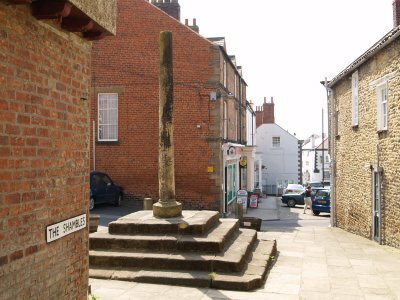 Not sure if the so-called 'Butter Cross' was the original market cross? 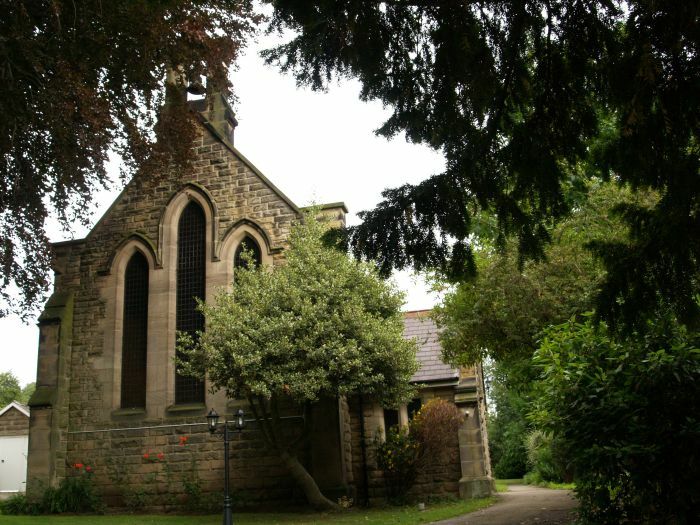 near All Saints Church. 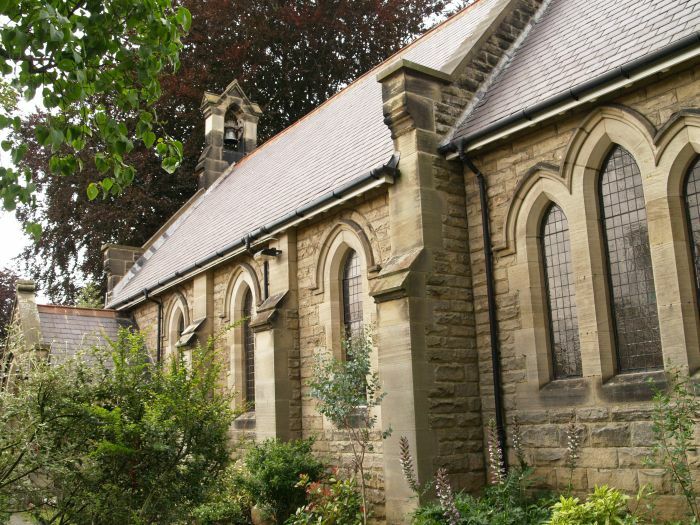 This Roman Catholic Church was built in 1897 by Barnard Smith. 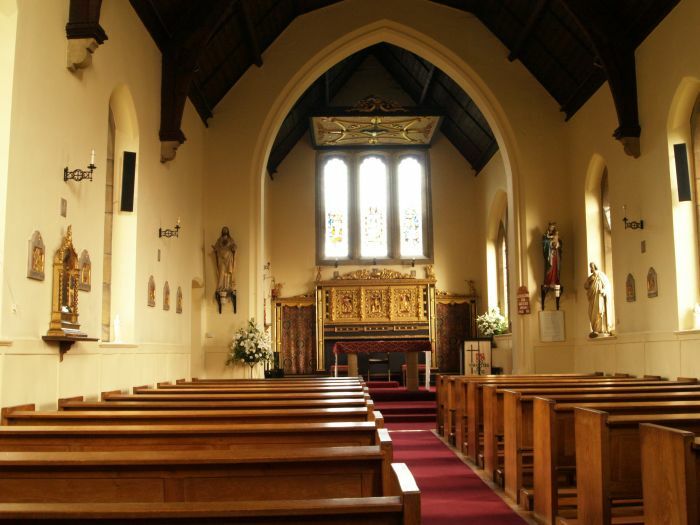 The sanctuary-chancel was remodelled in 1957 by Dom Damian Webb of Ampleforth. 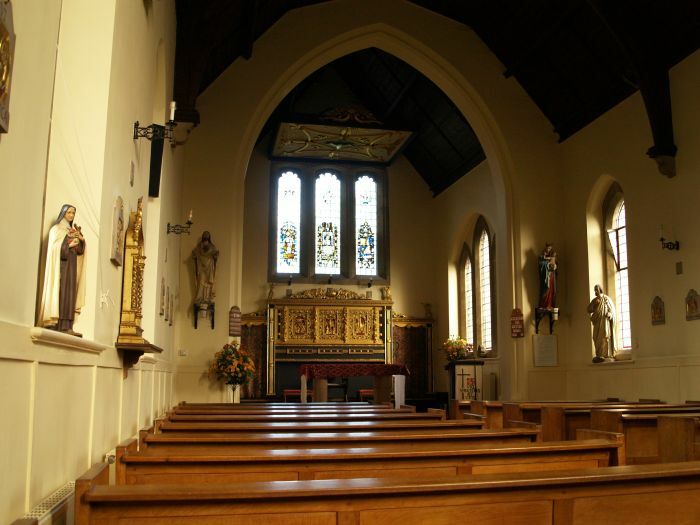 The Reredos altar piece and above it the east stained glass window. 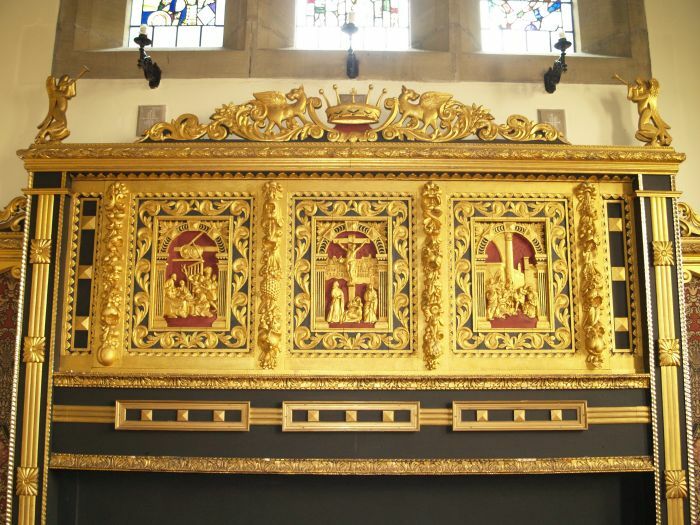 The beautiful Reredos is an early 17th century work from the altar of Gilling Castle. 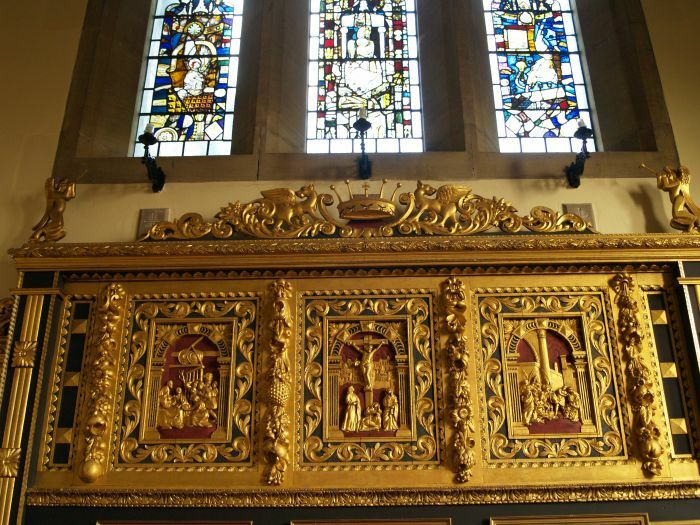 The four angels on the Reredos and some extra decorative details were designed and made by the sculptor John Bunting. 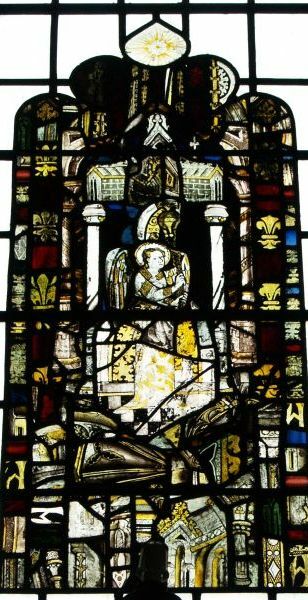 A collection of medieval glass has been nicely assembled in the east window above the altar - a really interesting find on my part as I continue to explore North Yorkshire in 'retirement! 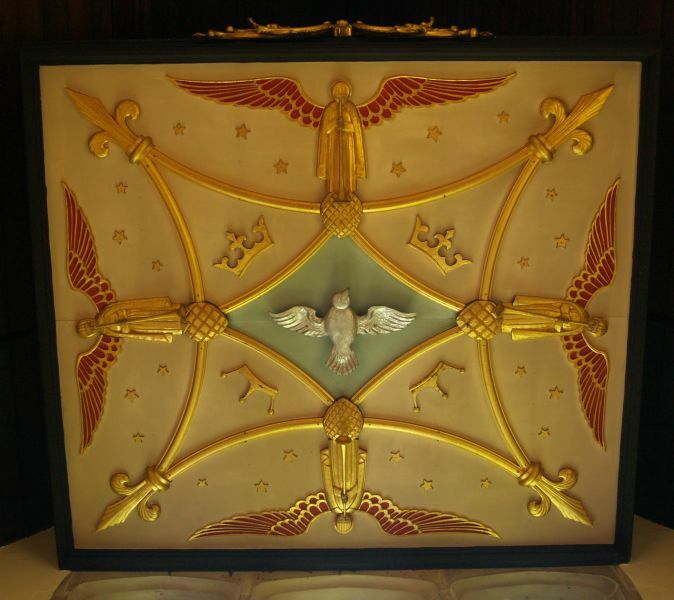 The canopy of four more angels above the altar was also designed and made by the sculptor John Bunting. 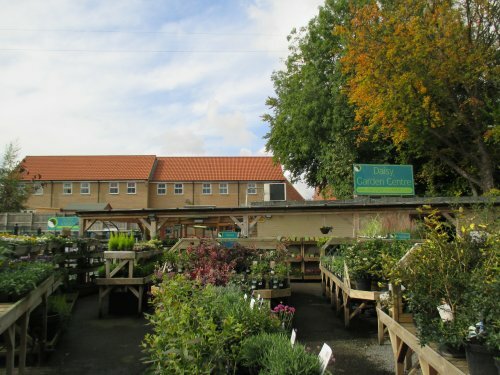 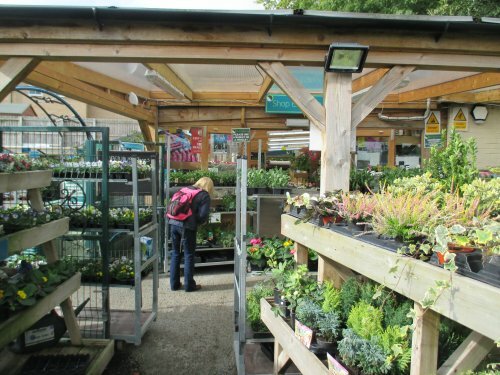 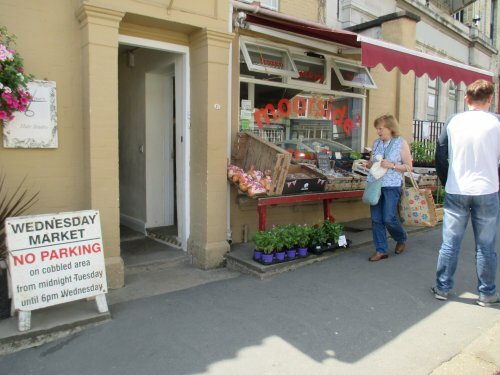 The Daisy Garden Centre in Kirkbymoorside. 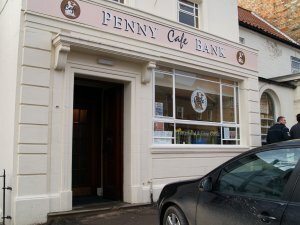 Kirkbymoorside, North York Moors, North Yorkshire, England: The excellent Penny Bank Cafe, Kirkbymoorside (Kirkby Moorside), North York Moors. 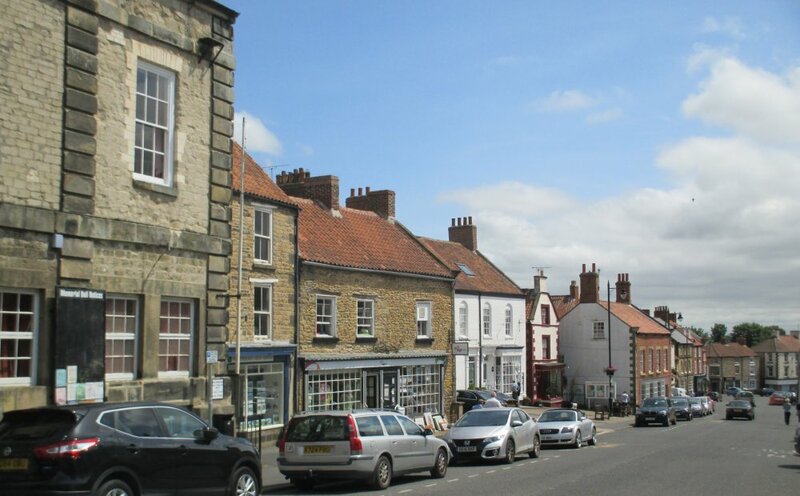 Kirkbymoorside is a small friendly market town on the Pickering-Helmsley road in North Yorkshire, England.